Kris Jenner has spoken up about her eldest daughter Kourtney Kardashian's relationship with ex Scott Disick, and it MIGHT not be all in ruins. The couple, who have three gorgeous children together, split in July this year, to the sound of breaking hearts all over the world. Despite reports that the couple have been embroiled in a custody debate over who will look after the kids, and after an onslaught of devastatingly sad social media posts from Scott himself about the relationship he'd lost, there might just be a glimmer of hope. YES. "Scott is like my son," Kris told Access Hollywood. "He came over yesterday. He was on his way over to see the kids. He's a great dad. They've got things to figure out." While it's not exactly an official announcement saying they're getting back together, it does give us hope. 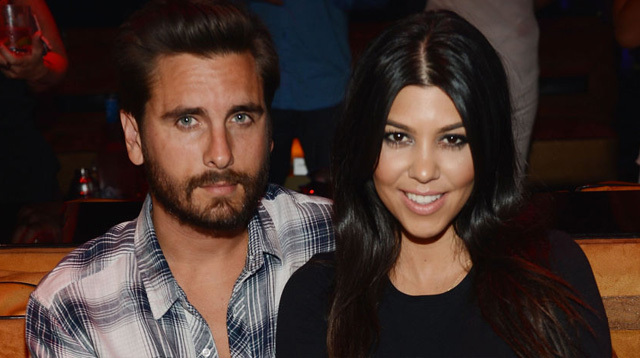 And if it is the right thing, we hope Kourtney and Scott can work it all out.